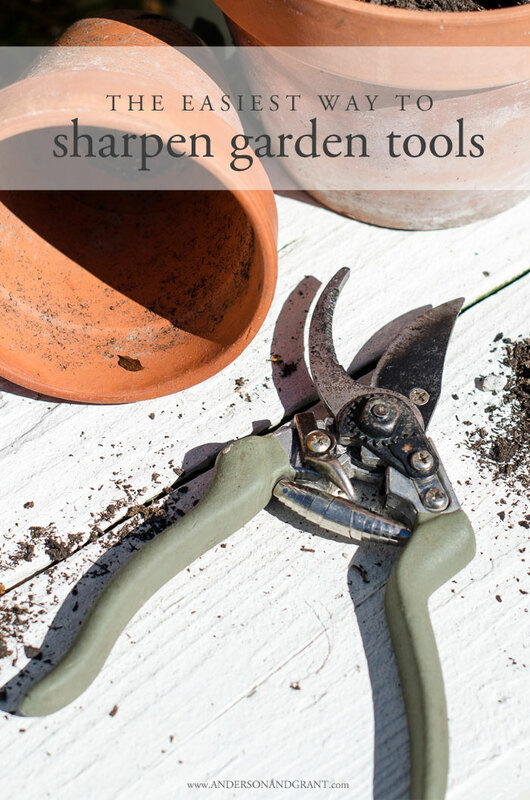 Keeping your garden tools sharp is important for the health of your garden and landscaping. Find out about one simple gadget you can use to effortlessly maintain a sharp blade. 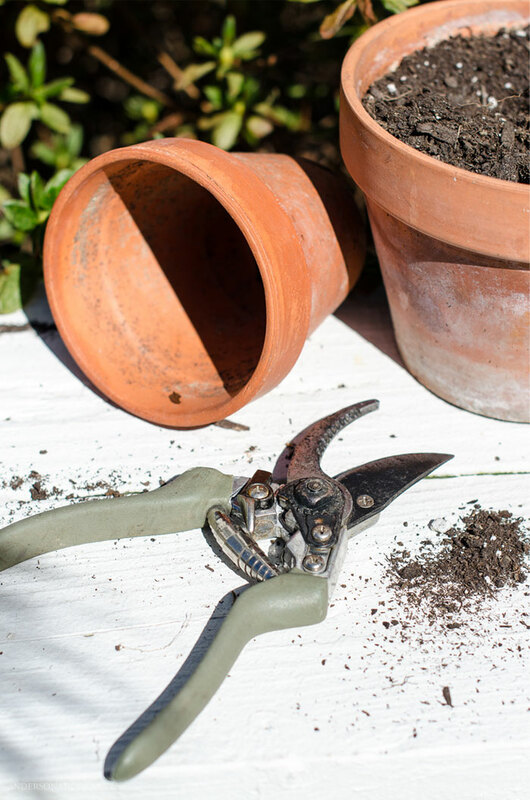 Spring is here and that means time spent in the garden pulling weeds, planting flowers, and pruning branches is just around the corner. It is not too early to start getting your garden tools ready for the upcoming work. While it is important to keep your garden tools clean, it is equally important to keep them sharp. 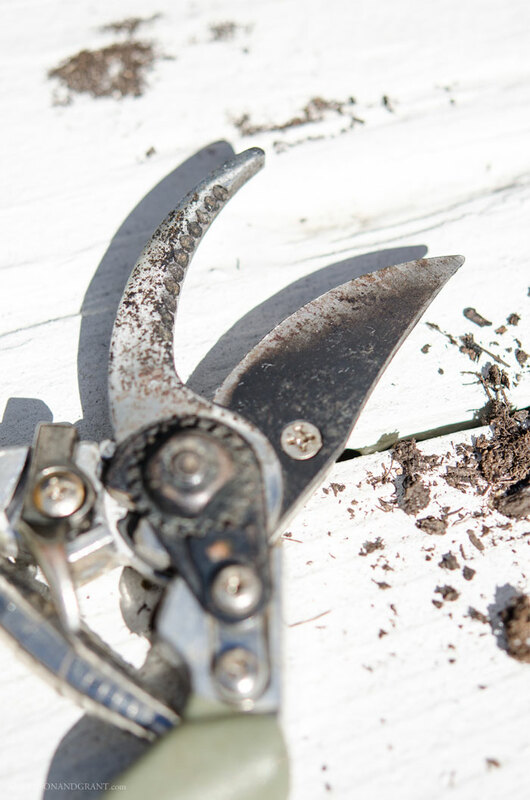 Tools like bypass pruners, spades, and axes should have a sharp edge. Cuts made with sharp tools are cleaner and allow the cuts to heal more quickly. It also exposes the plant, bush, or tree to less damage from disease, insects, and weather extremes. With proper maintenance, your tools will last longer and remain trouble free. As important as a sharp blade is, it isn't easy to do without the proper knowledge and tools. In the past, you'd need a file and a sharpening stone. You'd have to remember to sharpen the blade at a 45 degree angle. And with the blade of a bypass pruner like the one above, you'd also have to correctly go around the curve of the blade. Because of all this, I've never sharpened my pruners. They just get more dull (and inefficient) with each passing year. But, I've found the answer to my problem in a unique tool that I wanted to share. 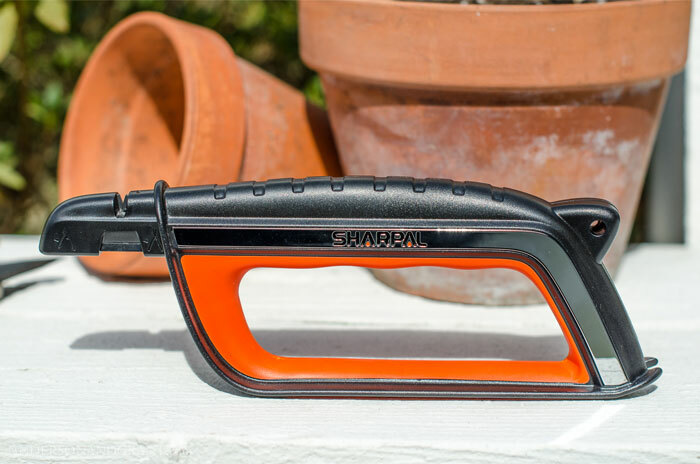 It is called the Sharpal All-in-1 Sharpener. I love that this tool takes the guesswork out of how to sharpen anything. And it eliminates the room for error and ruining the blade entirely. It is designed for accuracy. The sharpening stones are preset for optimal sharpening angles. Each type of tool has a specific spot on the sharpener where it should be used.....and there is a picture included ON the tool so that you don't forget. The process couldn't be easier or safer. For the bypass pruners, you just simply run the length of the blade along the sharpener in the front. You'll notice as you sharpen the blade that it will get brighter and shinier along the edge. 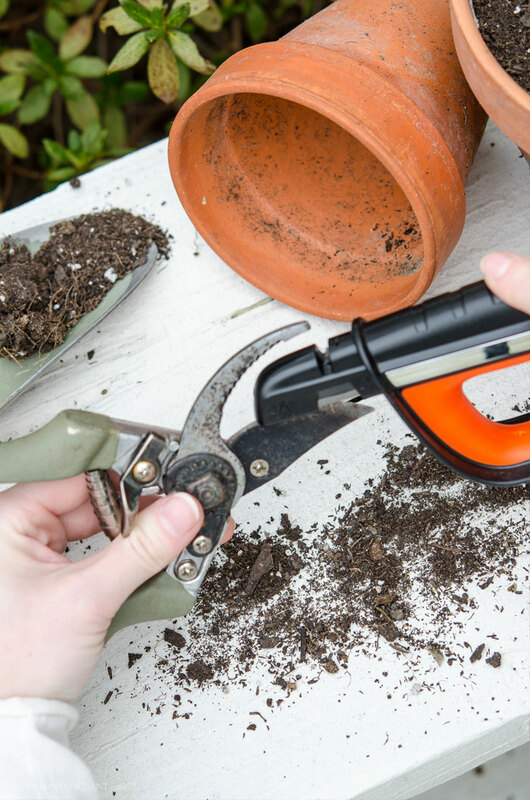 Test your pruners cutting power by slicing through a few sheets of newspaper. If it goes through easily, you'll know you once again have a sharp blade. 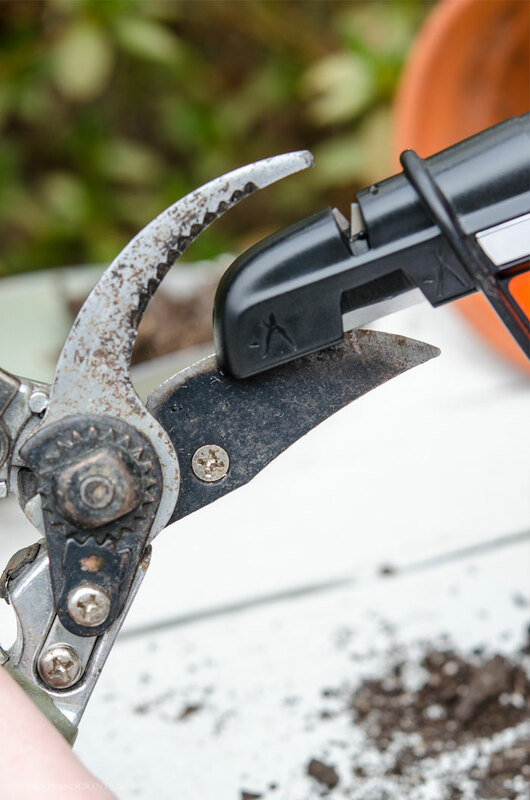 So, if you noticed at the end of the season last year that your pruners weren't quite getting through what you were trying to cut or it was tearing rather than slicing the branches, it is time to sharpen the blade. 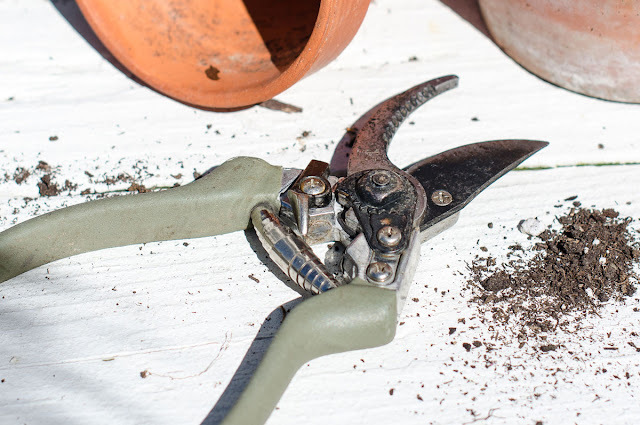 Part of being a good gardener means that you know how to take good care of your tools. Your plants and shrubs will thank you. If this gadget is something that you think may help you, there is a really useful YouTube video from the manufacturer where you can see this tool in action.